HomeHero is a licensed non-medical home care provider that leverages smart technology and human compassion to extend the health system into the home. HomeHero caters to individual families seeking assistance in the home and empowers health systems to launch, operate and grow their own branded non-medical home care programs. 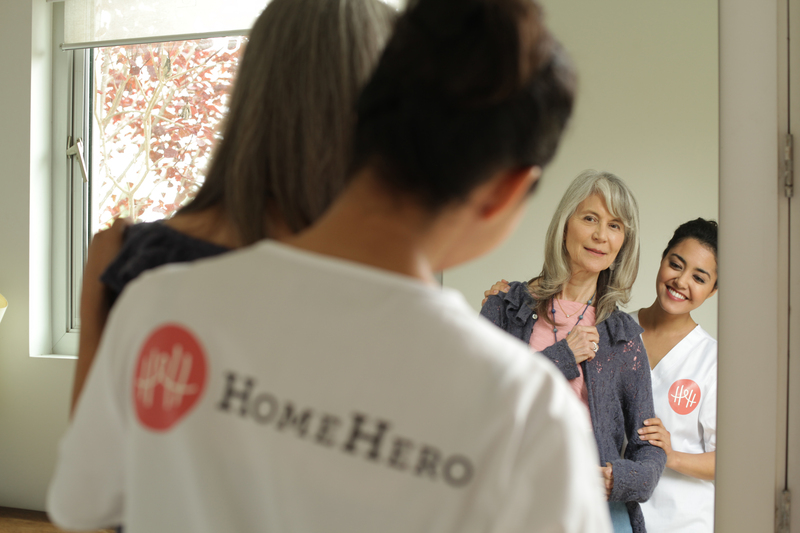 With hundreds of bonded and insured “Heroes”, HomeHero has grown to be one of the largest and most trusted home care providers in California, having provided more than 1 million hours of care to thousands of families. They offer a wide range of post-acute services such as personal care and companionship, transitional care, postoperative recovery, medication management, transportation and assistance with activities of daily living. Equipped with a robust mobile app, their Heroes conduct guided safety checks in the home, record patient health information, monitor social determinants and deliver critical real-time data back to families and case managers in the hospital. Their Care Managers — consisting of social workers, medical professionals and data scientists — work closely together to triage patients, provide actionable insights and predictive analytics to the care team, keeping patients safer than ever in their homes. HomeHero was launched in January, 2014 by Kyle Hill and Mike Townsend, originally as a service for their own families. They are headquartered in Santa Monica, CA and have raised $23 million in venture funding from Graham Holdings, Social+Capital Partnership, Science Inc, The Launch Fund, Tencent Holdings, Techstars and Cedars-Sinai Medical Center. For media inquiries, please contact press@homehero.org. We will not respond to solicitations.